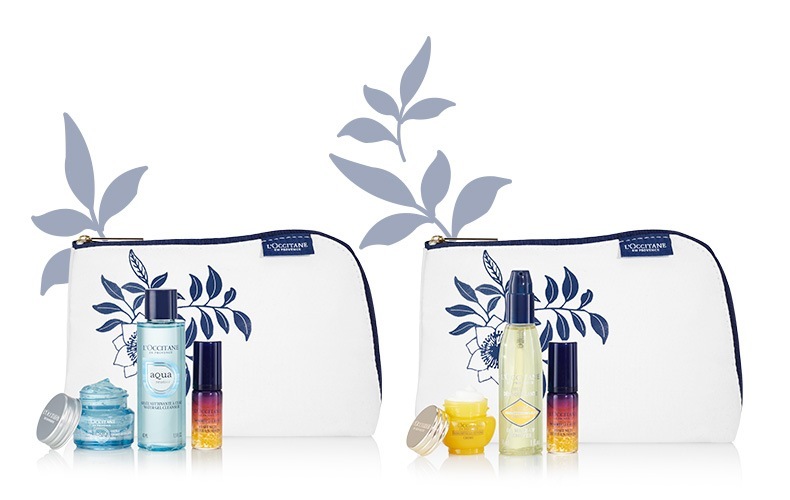 Pamper your skin with a 4-piece hydrating Aqua Réotier or anti-aging Immortelle travel-ready set. *PAMPER offer is valid in USA only, March 20, 2019 – April 16, 2019 only, while supplies last. Limit one per customer with any $125 purchase excluding taxes, shipping, and sale items. Valid online only. Not valid in L’OCCITANE Boutiques, L’OCCITANE outlets or Wholesale partners. Cannot be combined with any other offer, coupon or discount. No reissue or reimbursement for lost or void voucher. No cash value. No cash back. Not applicable to prior purchases, gift cards, shipping fees or taxes. L'OCCITANE reserves the right to substitute another gift of comparable value. Use code PAMPER at checkout.